We offer a hand to low income Thais by providing decent housing and improving their quality of life. 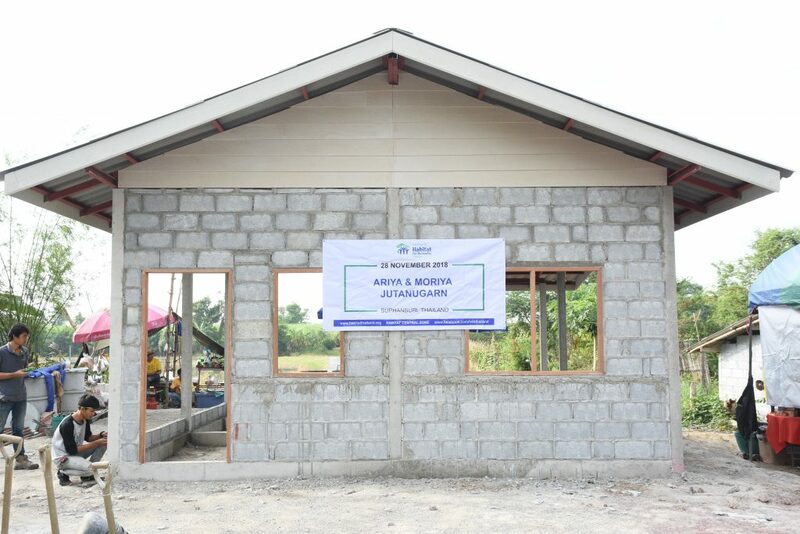 We build hope of a brighter future in sustainable communities. We bring together people from all walks of life and across corporate and government sectors to work toward putting an end to poverty housing. We provide immediate response and solution for natural disaster recovery. To date, we have built, repaired and rehabilitated over 11,500 houses in Thailand helped over 46,000 people all over Thailand. How we help and criteria for the selection of the family? The candidates can devote their time to join HFHT and other volunteers to build their own house for at least 20 hours. Current housing is a dense or congestion.